Surely you’ve noticed there are quite a number of hand crank manual grinder on the market, many of which we’ve reviewed right here on Know Your Grinder. Some are quite antique-y and retro with a lot of wood, brass, and iron, while others look like metal cylinders that might get launched into space. The old times vs. the modern times. So when another manual grinder rears its metallic or plastic-y hand crank, we at Know Your Grinder, we never know whether its time to get excited or scared. 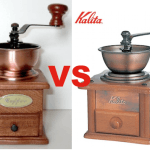 Lord knows there are many grinders out there which are major letdowns, and so we know there’s no guarantee that a company who is proclaiming their product to be the “best coffee mill” on the market is going to be able to back up that claim. 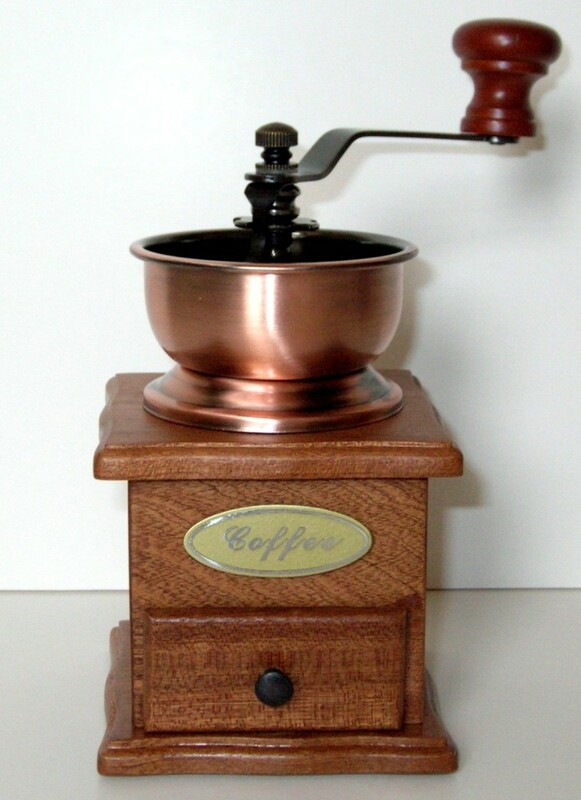 That said, we try to shoot straight when it comes to giving a grinder its due, particularly if it does its job. At least if it performs its main function, it doesn’t have to be flashy. It just has to work. 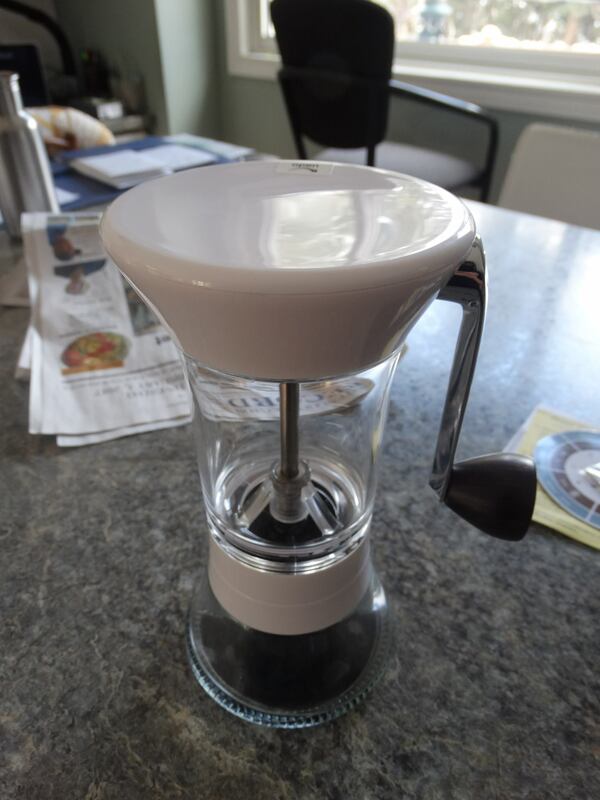 That said, we think its fair to say here that Rednax Homewares have created a manual coffee grinder that will provide you with an even grind of your favorite coffee beans. 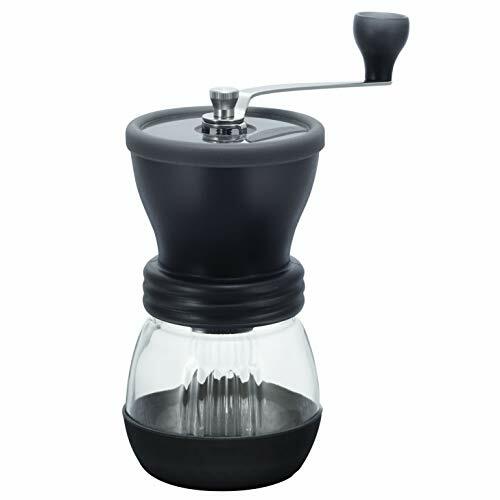 Whether you’d want to grind your coffee for a pour over, a French Press, espresso or drip coffee brewing, this stainless still mill with a powerful and long lasting conical burr will do its work with admirable precision. The Rednax is still relatively unproven in terms of not having thousands of glowing reviewers singing its praises, but for the people have purchased it, its so far, so good. As you can probably tell, the Rednax here is completely a manual mill, which means you will have to do the grinding yourself. If you’re up on the trends and styles of today, you may have noticed that even in the coffee world, vintage is definitely in. 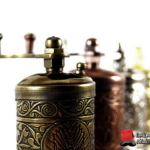 Vintage burr grinders are coming back and as you can see a lot of manufacturers are producing new and modern and yet simple manual coffee grinders that reflect those old values. While we can’t say this Rednax manual grinder is particularly vintage just looking at it, if you look very closely you’ll definitely notice that there is inspiration taken from the old-style coffee mill of yesterday. Some grinders of today, like the Rosewood manual grinder pictured on the right, are definitely going for that vintage look. With the Rednax and similar metal tubular grinders, the inspiration is less direct and given more of that modern twist, but there are notable similarities like the fact that its portable, and also hand operated. The hand operation aspect is not just because they wanted you to suffer, grinding away like a pioneer. The fact is that coffee flavor is actually preserved by the cool, slow hand grinding done by a manual grinder’s burrs, with burrs always being the preferred choice by pros. 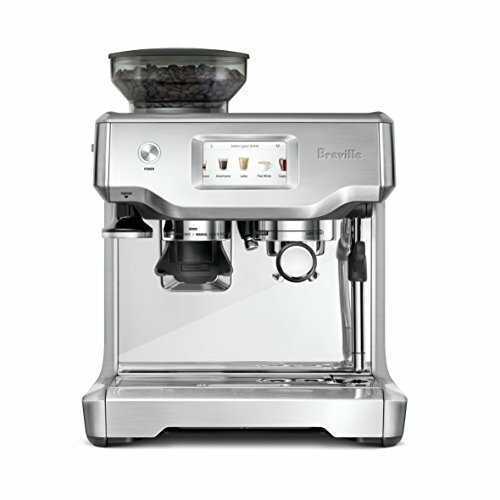 You can also adjust the grind by adjusting the distance between the conical burrs, whereas with blade grinders, you can’t do any adjusting at all. There is no actual instruction manual provided here, which could be a drawback if this thing weren’t fairly straightforward to operate. There are very few parts involved here, and those that do come with it seem to not have posed any problem for anyone who has purchased this Rednax ceramic burr grinder thus far. As you can see from the picture above, the bottom container has a glass window which allows you to see the content inside, which is helpful. Some people even use the grinder itself as a storage container once they’ve ground their beans, but we always recommend a good airtight coffee vault. 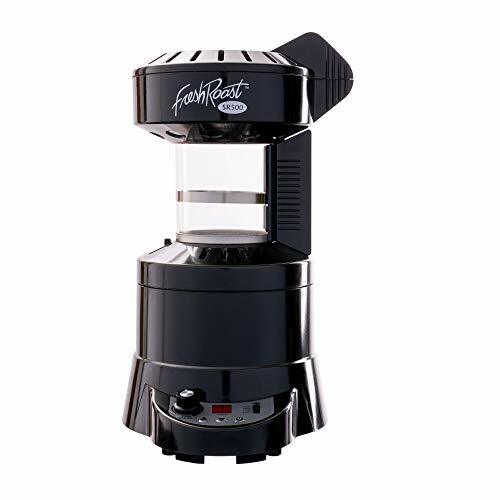 This Rednax coffee grinder is completely safe and easy to use; even your children can help you grind your coffee without fear of worrying about electricity. Grinding coffee with this Rednax grinder is about as dangerous as grinding pepper, which, incidentally, you can also use this grinder for, but we wouldn’t recommend having it do double duty, as the tastes will most certainly mingle. The top container is where the burr is located; the top container (AKA the hopper) is a bit bigger than the lower one. 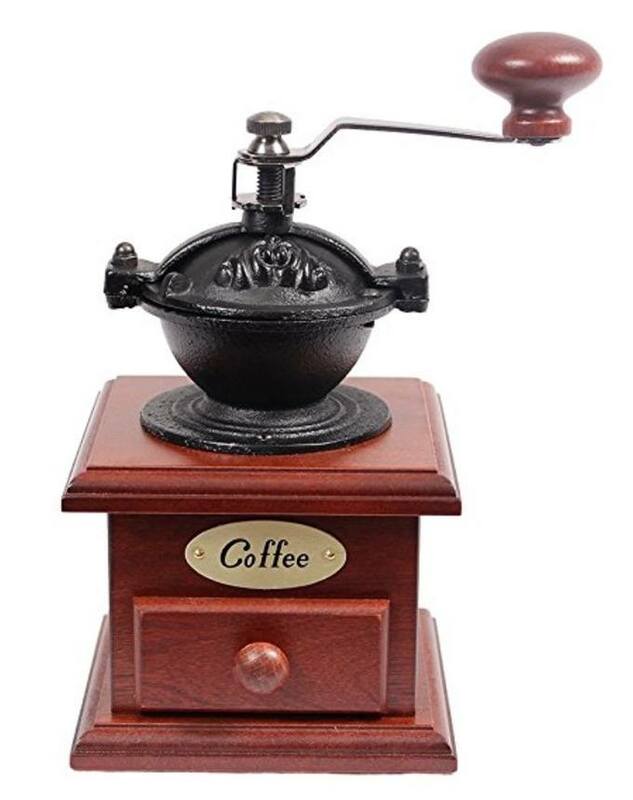 It will take you just moments to put this grinder together, and then just start spinning the handle and enjoy seeing the transformation of your favorite coffee beans. 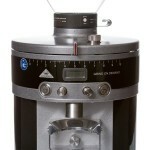 Adjusting the grind to suit your purposes is just as easy as the picture to the right here indicates. 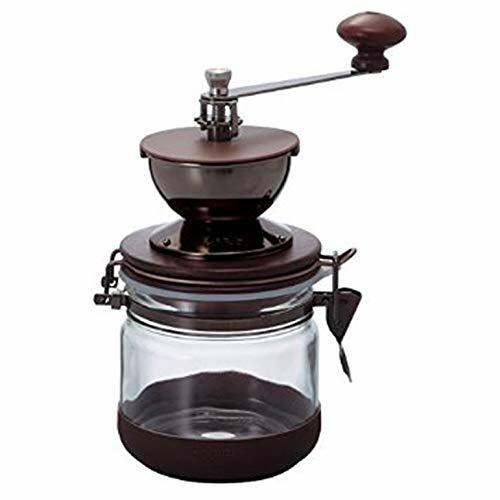 Similarly, it is just as easy to remove the parts of this grinder, clean them, and place them in your drawer or cupboard, making this manual coffee grinder an excellent choice for every home. 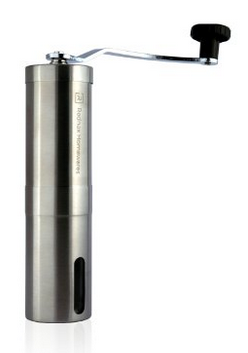 Especially designed not to take a lot of your space around the kitchen, the Rednax Homewares Manual Coffee Grinder is a better than average choice for travelers or campers. You can pack it in even in your hand luggage; it is that small and that practical. 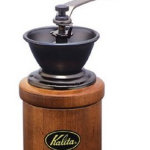 Campers and hikers are firmly agreeing that this is a perfect manual grinder that you can take with you in the wild and brew a fresh and aromatic coffee. 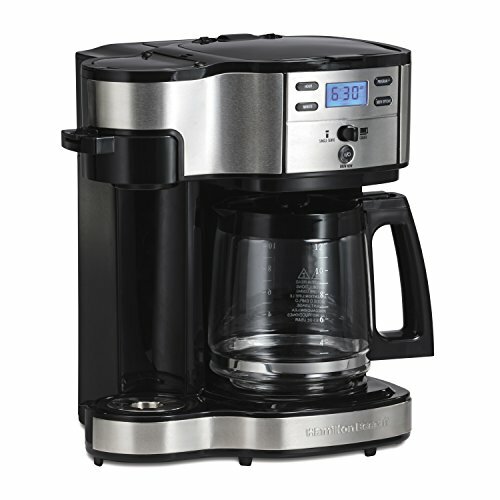 This Rednax coffee mill was manufactured with an ultra durable, corrosion resistant stainless steel body, and has been designed to be extremely easy to use once you put it together. It has a fully adjustable grinding mechanism, with an ergonomic, easy grip hand crank, that allows the person who uses it to choose the ideal texture. The only thing you need to do to change the texture is to simply switch the black screw on top clockwise or counterclockwise (as pictured above – and this way you will have larger or smaller grind of your coffee beans; or you can combine it, it is up to you). The process of grinding takes manual effort of course, but it isn’t that hard and within minutes you will have at least two full spoonfuls of coffee freshly ground and ready to be brewed. 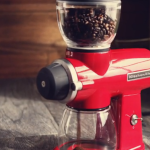 While the market is full with cheap knock offs who offer a good design and poor burrs that will wear out after a few times of using the grinder, the Rednax Coffee Grinder here offers long lasting quality. 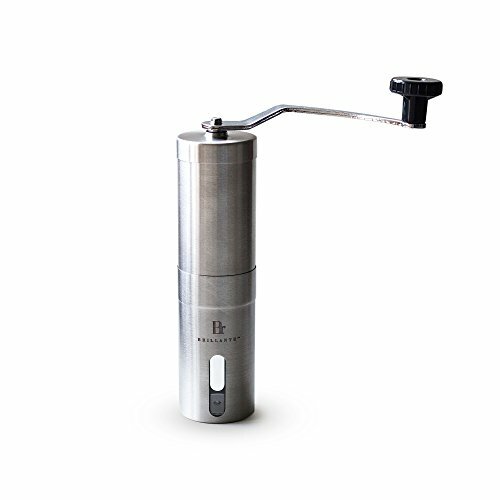 It is constructed with professional grade, premium ceramic burrs that do not let any large chunks get by them. The ceramic burrs grind the coffee beans fully, for consistent results and an even range of textures perfect for rich, smooth coffees and espressos. To summarize, this grinder has many more pros than cons. Here’s a quick list of both in a nutshell.